This is the BEST and the EASIEST CHOCOLATE CAKE RECIPE you will ever find because its everything you can ask for in a chocolate cake. Its MOIST, chocolatey, decadent and the best part is you just THROW EVERYTHING into the bowl —- then MIX and BAKE. This is a beginners and a kid friendly recipe. This recipe my friends, is a keeper and there is no way you can go wrong with it. Do you feel sad when you suddenly realize that you baby is all grown?. My elder one turned 6 last week and the night before, all his birthdays started flashing in front of me. Ohhh! I miss him being little and whenever I think about it, I don’t feel like putting my younger one down thinking he is going to grow up too soon too. As I sat with Nivaan on the rocking chair the night before his birthday talking about how sad his mommy was that he is growing up, he with all his innocense tried to convince me that he is going to stay with me for ever :). Nivaan is crazy for chocolate cakes and the first time I baked this cake was for his 2nd birthday where I decorated it with all the things he liked—A kid friendly cake. (Well, I admit I am not very thrilled looking at that cake now). For his 3rd I used the same cake and made a cho cho train. For the 4th, I made a tall m&m illusion cake with chocolate and vanilla. For the 5th I brought a cake. With the pregnancy and the big move, baking was the last thing on my mind and for the 6th the same chocolate cake was wrapped differently. Hopefully for his next birthday I will convince him to try a different flavor. The same recipe was in use for so many years and no other recipe has ever matched this one because it is that simple and yet amazing. 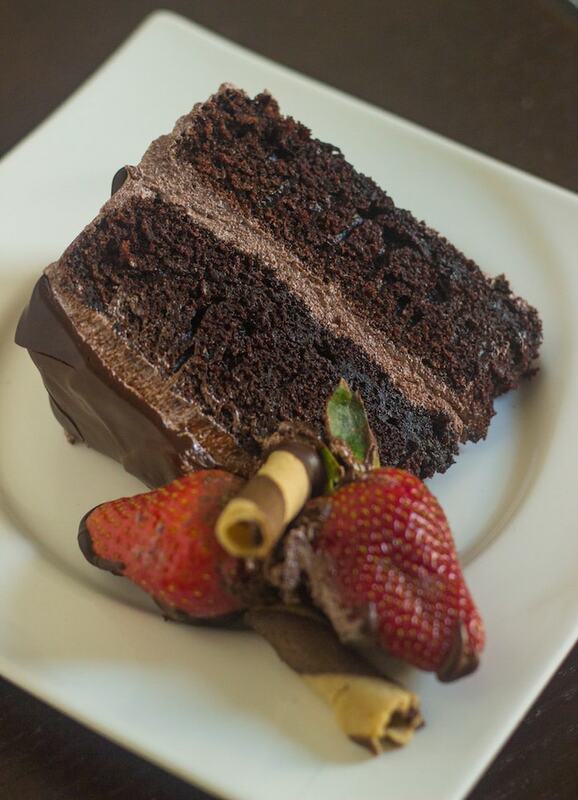 This is the highly rated hershey’s chocolate cake. 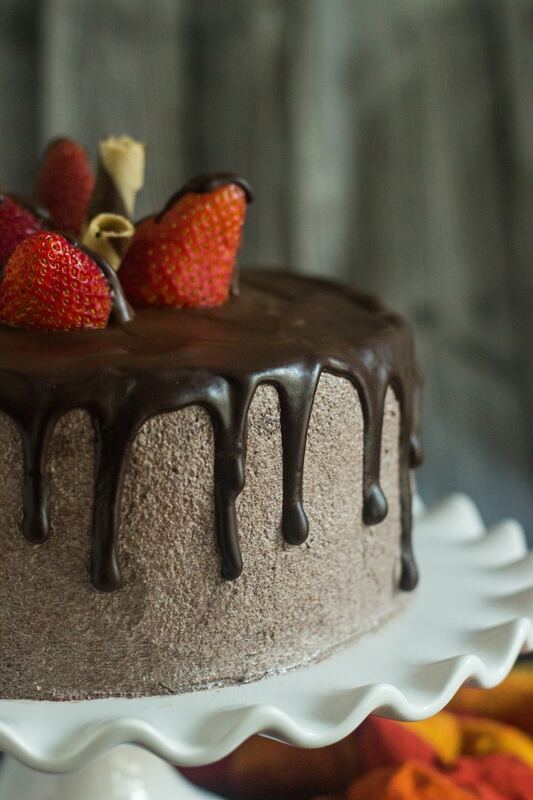 I have posted chocolate cakes with different variation like the black forest cake, but I have never posted a pure chocolate indulgence and I thought its high time I do so. Did you know that you could substitute milk for heavy cream when making chocolate glaze?. It really works. Sometimes you are so confident that you have certain ingredients and only when the time comes to finally use it you realize it has expired. 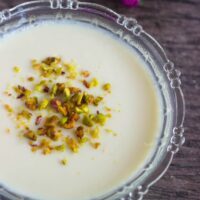 This was the story behind the heavy cream and I am glad that there is another way because heavy cream is something which is not a common refrigerator staple in many households including mine. Whisk together flour + cocoa + sugar + baking powder + baking soda and salt in large bowl. To that, add eggs + milk + oil + vanilla. Beat on medium speed of mixer for 2 minutes or you can use a whisk. Add the boiling water to the batter and stir well (batter will be thin). Pour batter into prepared pans. Bake 40 to 45 minutes or until wooden skewer inserted in center comes out clean. Cool for 10 minutes and then remove from pans to wire racks. Beat butter until soft. Add sifted cocoa powder and beat well. Now add confectioners sugar little at a time and beat till it blends well. Add a pinch of salt as well. Add vanilla and a tablespoon of milk at a time and beat well until soft and fluffy. Scrape of the sides. Add chocolate chips or chocolate bits into a clean bowl. Add a pinch of salt and mix. Bring milk to a simmer on heat but not boiling and pour it into the chocolate bowl. Whisk it. Slowly the chocolate starts melting and it comes to a syrupy and pourable consistency. Use immediately. Frost the cake and place it in the refrigerator for 30 minutes before you pour the glaze. Slowly start pouring on the edges of the cake till it drips. Then fill the center and smooth with a spatula. 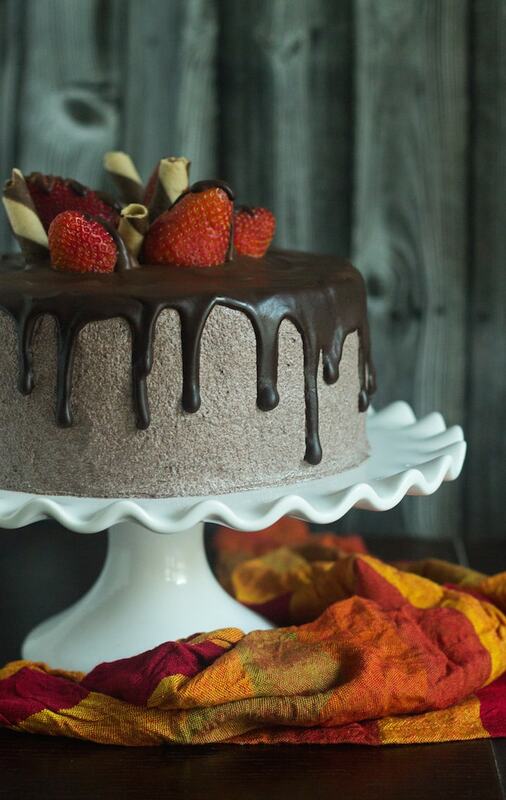 Dip the strawberry or other fruits in chocolate and place it over the cake. Frost the cake only after it cools completely. Its easier to frost the cake if it has been in the refrigerator for 30 minutes. Pour the glaze only over the chilled cake. You can also add 1/4 cup of chocolate chips over the batter to make it more rich. I can’t save this or copy it. only printable… I keep losing prints! possible for a text version? Hey Ruchi, Sure you can. First click on Print —–> select File —-> Export as pdf —-> Click on Save OR Click on Print —–> Select File —–> Click on Print —-> Select save as pdf. Hi Teena,read ur chocolate cake receipe..found it interesting. But I’m a pure vegetarian,if I skip the eggs and mix all the ingredients as told by u,will it come out good. Or any other substitute u may suggest. U can also give it’s answer on watsapp..so tht I can get quickly ur answer. I’m soniya….Ur classmate,did u recognise me. 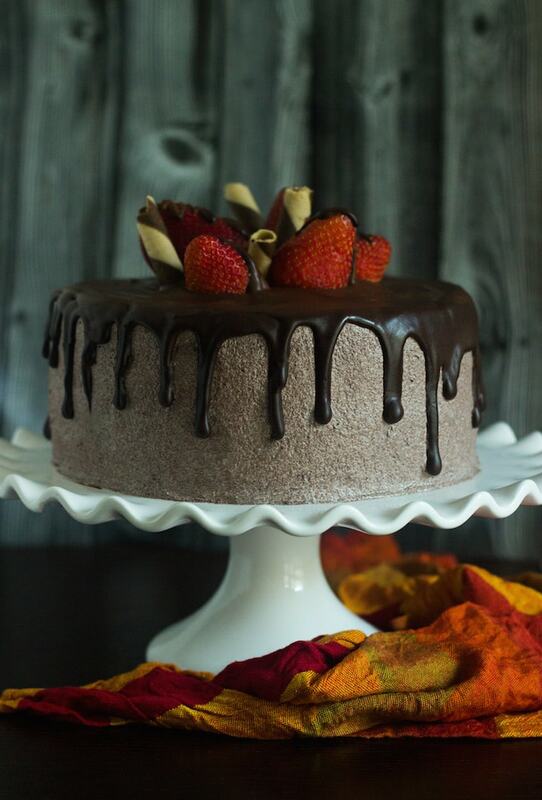 Check this eggless cake recipe https://artofpalate.com/vegan-eggless-chocolate-cake/. There are substitutes for eggs but I haven’t used it so can’t say.